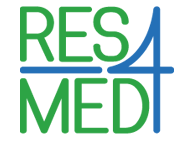 RES4Med&Africa is organizing a high-level Business-to-Government (B2G) workshop focused on the long-term energy strategies and the grid solutions for integrating the renewable energy systems, attracting investments and exploiting the socio-economic benefits of renewables in Jordan. The workshop, carried out in collaboration with EDAMA, aims to stimulate the discussion about the long-term energy strategies, investigating the opportunities of the electrification of final consumptions as well as plans to improve the grid infrastructure to secure flexibility and a smooth integration of the RES. Moreover, it will be the occasion to analyze the socio-economic benefits of the RES in terms of job creation and local content by looking at the regulatory framework and policies. This will be done by putting together the most experienced and international companies within RES4Med&Africa network and the most relevant Jordan stakeholders. The workshop will be also the occasion to present "Scaling-Up Renewable Energy Development in Jordan", a position paper carried out by RES4Med&Africa in collaboration with EDAMA and Pöyry, focused on the current status of renewable energy sector, the experienced barriers and mechanisms to scale-up the deployment of such technologies in the country. Since its nature for RES4Med&Africa of being a private-public platform, the workshop will be an important occasion for a proactive dialogue with the local institutions, the most relevant stakeholders of the Jordan market and the international companies within the RES4Med&Africa network, playing a pivotal role in the Jordan market. For more information, click to contact us.